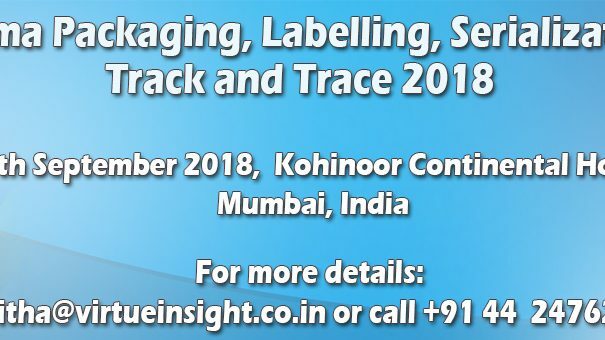 The goal of the conference is to uncover the insights of the most emerging best practices and industry expertise in the field of packaging & labelling in the pharmaceutical sector. This conference attracts packaging, labelling, serialisation, track and trace and artwork experts from across big and small pharma, who come together to share case studies, discuss the current challenges and find solutions. Please find the detailed agenda attached with this email. Pharmaceutical companies, Biotech companies, Artwork, Serialisation, Track and Trace – Solution Providers, Brand Protection, Enforcement, security, Integrity and Management companies, Design Regulatory Affairs, Quality, Product Development Materials Handling/Management, Product Information Operations, Licensing, Marketing and Sales Patient Compliance, Materials, Warehouse, Engineering Lean Production, Procurement, Purchase/Facilities Manufacturing Technology, Supply chain and Logistics, Government, Payers, Insurance companies. Conference Sponsor, Exhibition Stall (Booth) and a paid Speaker slots are also available.